National insurer Humana posted higher revenue in the fourth quarter of 2017, driven primarily by higher Medicare Advantage premiums. The Louisville, Ky.-based insurer recorded revenue of $13.2 billion in the three months ended Dec. 31, up 2.4% over the same period in 2016. Higher Medicare Advantage premium revenue, along with higher revenue in the group and specialty segments, led to the increase in the fourth quarter. 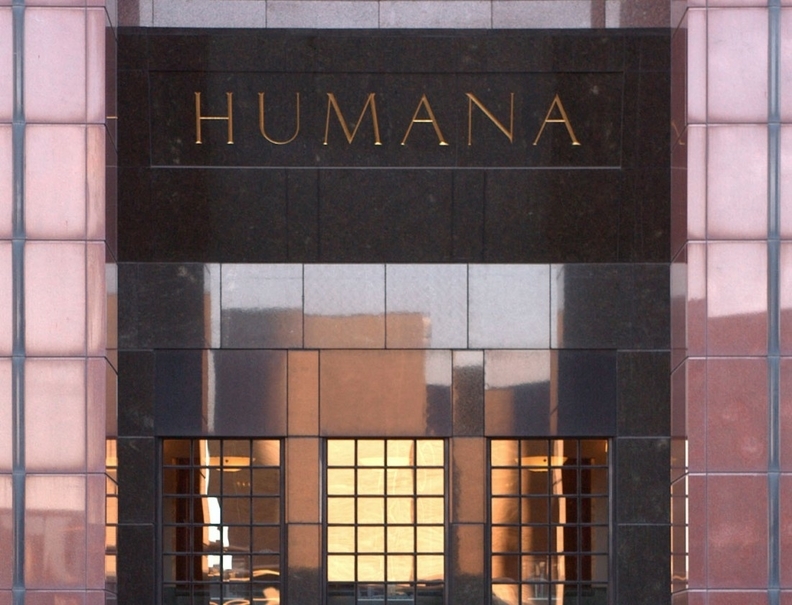 For the full year 2017, revenue dropped 1.1% to $53.8 billion year over year, largely because of lower revenue from Humana's individual commercial plans, the company said Wednesday. "Our results for 2017, led by our individual Medicare Advantage business, significantly exceeded our initial expectations, allowing us to make important investments in our business that resulted in strong Medicare Advantage membership growth in the annual election period," Humana Chief Financial Officer Brian Kane said in a statement. "This membership growth, coupled with productivity initiatives undertaken in 2017 and the reduction of our corporate income tax rate under the tax reform law, provide a solid foundation for significant earnings growth in 2018 and beyond," he said. During a conference call Wednesday, Humana officials told investors that the company will receive $550 million in savings from the recent GOP tax overhaul, which reduced the corporate tax rate from 35% to 21%. Humana plans to invest half of those savings back into its employees, its communities and the business. Humana's premiums and services revenue increased 3% to $13.1 billion in the fourth quarter compared with the same period in 2016, but declined over the full-year 2017 by 1% to $53.4 billion. Its Medicare premium revenue in the fourth quarter grew 3.8% to $10.2 million, compared with $9.8 million in the fourth quarter of 2016. Its 2017 Medicare premium revenue totaled $41.6 million, up 3.5% over 2016. Humana's medical loss ratio, which represents the amount per premiums spent on medical care and quality improvement, was 83% for both the fourth quarter and full-year 2017. In 2016, Humana's fourth-quarter MLR was 89.2%, while its full-year MLR was 84.9%. The insurer said its MLR improved over both periods because it exited certain individual markets that had higher medical costs, and increased premiums in the individual markets where it remained. The improved MLR also reflects planned exits from certain Medicare Advantage markets where costs were higher, lower-than-expected medical costs in Humana's individual Advantage business, and the company's write-off of $583 million in unpaid risk corridor funds during the fourth quarter of 2016. Humana completely pulled out of the ACA individual market for 2018, but it enrolled about 128,800 members in individual plans in 11 states in 2017. In 2016, it served nearly 655,000 individual plan members. Meanwhile, Humana's Medicare membership grew 5.7% year over year to 8.6 million in 2017, driven by growth in its group Advantage plans. Humana ended the year with 2.9 million individual Medicare Advantage members, 441,000 group Advantage members, and 5.3 million members enrolled in stand-alone prescription drug plans. Humana lost members in every line of its group and specialty segment. In particular, its administrative services-only customers decreased by 20% year-over-year to 458,700 in 2017. In total, its membership in 2017 was 14 million, about 230,000 less than its 2016 membership. Humana posted a profit of $184 million in the fourth quarter, compared with a loss of $401 million in the fourth quarter of 2016. Its total 2017 profit was $2.4 billion, compared with $614 million in 2016. The increase in profit reflects the reserve strengthening Humana recorded in the fourth quarter of 2016 for the company's non?strategic closed block of long?term care insurance business, and the improvement in earnings associated with its individual commercial plans.